Enjoy stunning countryside and strong rental yields with this beautiful golf and spa resort in France's majestic Limousin lake district. The 220-acre resort is centred around an 18th century chateau, which has been converted into a fully operational hotel, signed with the world's largest hotel group. Construction is already underway on the next phases of the project, including 126 new build apartments, renovated units, a golf course and spa. The resort is 10 minutes from the local TGV train station with a direct link to Paris - ideal for buyers to enjoy 6 weeks' personal usage per annum. Properties will be fully managed and maintained, offering 8% NET fixed returns for 10 years. An optional 100% buyback is guaranteed from year 3. 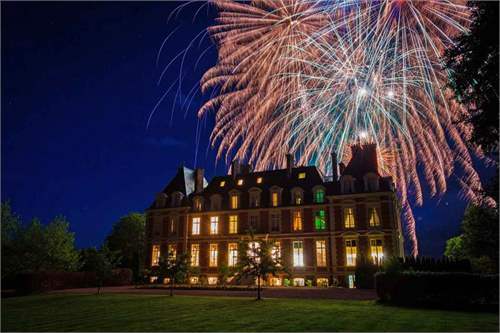 Bespoke viewing trips are available for £129, allowing you to stroll the resort's lush and expansive grounds, with breakfast and evening meals included, plus free transfers from Limoges airport or La Souterraine train station. Prices start from £145k, with fractional ownership options starting at just £13k.